Whether you shake, sort, or make your own creation, every box of SMARTIES is a moment of colourful fun! has always been MINI. That’s why it’s a classic. Colourful, candy-coated chocolate in a fun, shakeable and portioned make ‘em last pack! All SMARTIES from our chocolate factory in Toronto are made with 100% sustainable cocoa certified by UTZ as part of Nestlé Cocoa Plan. These festive treats love hanging with hot chocolate! 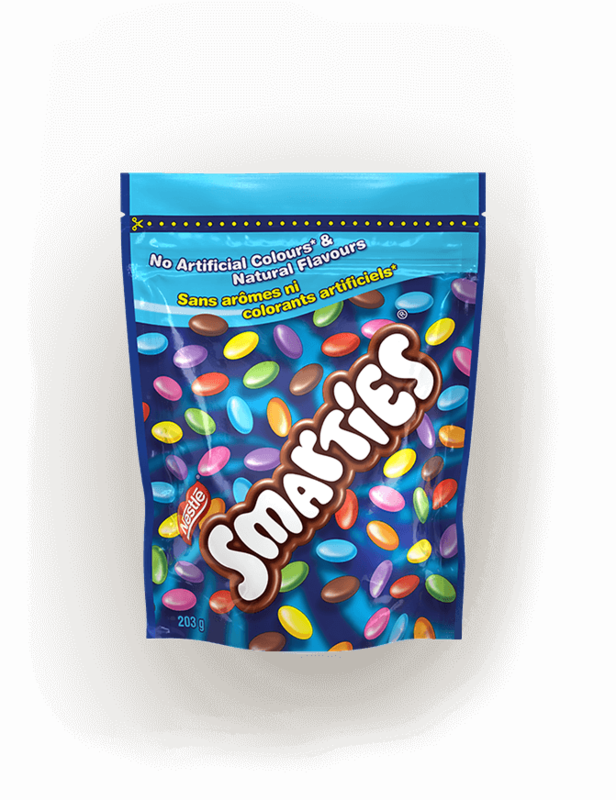 We make 3.52 Billion SMARTIES at our Toronto factory every year! These cookies can be whipped up in a jiffy and make for a delicious gift or treat.